Musings of The Mom Jen: Last Minute Getaway!! Home > Adventures, Family > Last Minute Getaway!! 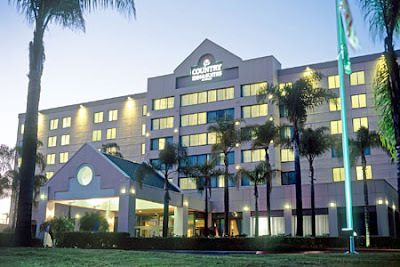 Read about my upcoming getaway with Country Inns and Suites! Now, I want to hear from you! What’s your idea of the best last-minute vacation? That is so cool! We've done a few last-minute trips to Vegas to visit my family, but that's about it. With my husband's work schedule we don't get to get away much at all anymore. Quick weekend trip to the Gulf. A day at the beach always makes everything better. We haven't been on a vacation in 5 years. We've been on an overnight but that is it. I'd go anywhere at this point! Girl, I'm already living it. PS....You HAVE to hit up George's on the Cove in La Jolla (restaurant). Gorda Cabins in Big Sur...only NOT with kids...kind of ruins the romance. Just fill your gas tank before you go, I once paid $6 a gallon filling up there...the stress of it caused me to need another vacation which I now can't afford. To save money at Legoland... bring your own food, snacks & water!!! Maybe a change of clothes, too... just in case the kids aren't comfortable wearing wet clothes/swimsuits throughout the park! Your kids will enjoy it... there's something for everyone there!